No one usually thinks about drains until they are clogged. Learn how to prevent clogged drains here. At best, a clogged drain will run slow giving homeowners time to repair the drain without major inconveniences. At worst, drains can overflow causing water damage, costly repairs, and frustration for residents. While there is no guarantee against clogs, there are things that you can do to help prevent clogged drains. Homeowners should first understand common drain blockage causes. Most of the drain blockages our drain specialists encounter day to day are root intrusions in main sewer lines, hair clogs in showers and bathtubs, and grease build-up in kitchen drain lines. These causes are typical and can happen over time during normal usage. Some drain clogs that occur can be prevented. Hair can be trapped in a basket strainer in lavatory sinks and tubs and/or showers; grease buildup in kitchen sinks can be avoided by caution when rinsing dishes and by avoiding putting grease and other items down the drain, and root intrusions can be avoided by cutting back trees near the main sewer line. However, even with the most preventative measures, drains can become clogged and can depend on many variables. The best prevention method for a clogged kitchen drain is avoiding letting anything go down the drain other than water. This is easier said than done. Homeowners can ensure that large particles do not go down the drain by always having the basket strainer in the drain when washing dishes. When cooking fatty foods like bacon, or using oil, make sure to drain that leftover grease into a jar or old coffee can and dispose of it in the trash. Homeowners can go one step further by using a damp paper towel and wipe down any pots or pans after disposing of the grease and oils before placing them into the sink for washing. After washing any oily or greasy dishes, homeowners can put a small amount of liquid degreasing dish soap into the drain while running hot water. If the sink has a garbage disposal, turn it on for about 30 seconds to help push all of the water down the drain. This will help prevent excess grease buildup inside of the kitchen drain line. Speaking of disposals, there are many different opinions on what can go down a disposal. At Bill Howe, we recommend very little. 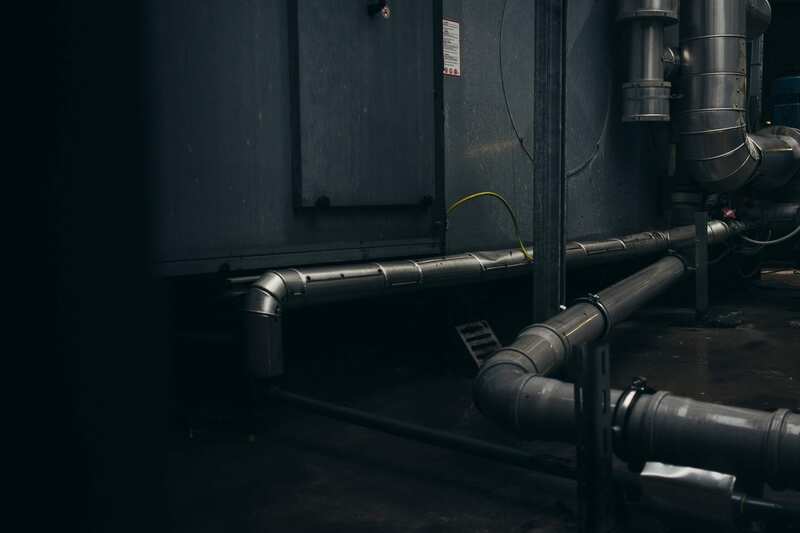 While disposals can be powerful enough to grind up large amounts of food particles and food waste, once that is in the line, it can wreak havoc on drains and cause clogs. Insinkerator, the maker of many high-quality disposals, suggests their products can handle “most everyday food waste” but caution against putting too much at one time, or putting them in older homes where plumbing is more susceptible to clogs. Insinkerator even says coffee grounds and egg shells, a big one we recommend against, is fine in small amounts. But, again, they caution that just because the disposal can handle the waste, the pipes may not. When using the disposal for small particles left on plates, use cold running water. When degreasing, something homeowners should do once a month, use degreasing soap in a clean sink and use hot water to help it clear the interior of the drain line. Just like your kitchen sinks, your lavatory sinks can become clogged through normal use. Soap, personal product buildup, and hair are the most common reasons that lavatory sink drains become clogged. 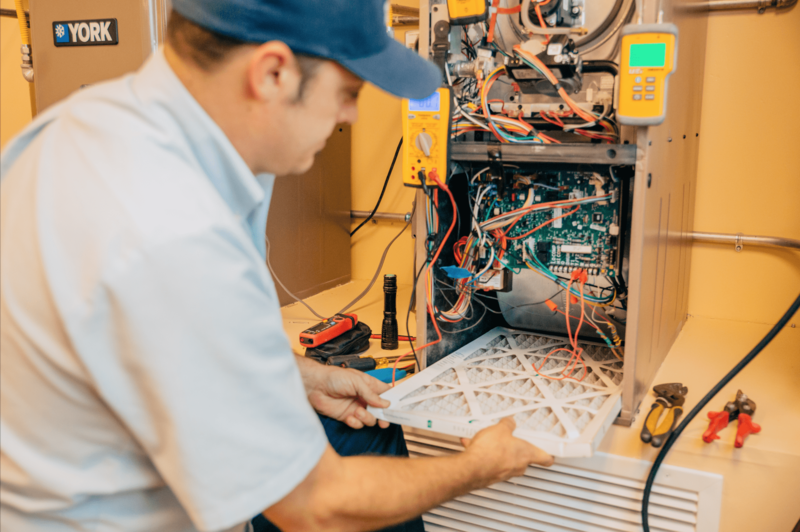 Homeowners can avoid heavy buildup by ensuring that the pop-up assembly is always in place, or if there is no popup, a screen is used to catch hair and items that may fall into the sink. Some of the most common items that drop down a lavatory sink are toothpaste caps and *wedding rings. *If your wedding ring or other priceless items do happen to fall into the sink drain, the best thing you can do if you hope to retrieve the item is to stop using the drain immediately and call your plumber. Many times, rings can be retrieved if it is discovered quickly as they will likely fall into the trap and remain there as long as water is not running and pushing farther down the line. A plumber can use a small camera to view the line. To avoid heavy soap or product buildup, use hot water regularly to keep the bathroom drains free of buildup. Hair is another culprit in most shower and tub drain clogs. A strainer is a great way to avoid large amounts of hair going into the line. Homeowners can also help eliminate some of the hair into the in by brushing their hair prior to showering. This will help some of the shedding while in the shower. Homeowners can regularly check the strainer and remove excess hair. Just like sink and shower drains, toilets are built to handle normal use, but often become clogged due to what has been put down the line. The only items that should be flushed down the toilet are waste and toilet paper products. Homeowners should also be careful about how much toilet paper product is used. Anyone with children has probably experienced at one time or another, a large amount of paper in the toilet, sometimes even the entire roll, and an immediate backup. Not all toilet paper is equal either. There are thousands of products on the market, from 1 and 2-ply, to soft and luxurious, and the single ply most people find in offices that is likely not anyone’s favorite. The thicker the toilet paper, the nicer it is; however, it is also more likely to cause clogs over time if too much is used. Paper towels and so-called flushable products should never go into the toilet. These products do not break down like toilet paper and will cause a backup, usually at the most inconvenient time (that’s just Murphy’s Law). The FTC is responsible for regulating advertising claims, and products claiming they are “flushable” have come under fire in recent years due to the complaints. In fact, one company, Nice-Pak, came under scrutiny and was ordered to substantiate “flushability” claims. There are still many products on the market claiming to be safe for sewer systems, and just as many plumbers pulling wads of wipes from clogged sewer systems. Bill Howe recommends never putting anything other than toilet paper in the line. One of the most common clogs for sewer systems is feminine hygiene products. Often, when plumbers retrieve these products from mainline sewer clogs, warranties are voided and can cost homeowners more. Not all homes have exterior area drains, but most commercial businesses will. These drains lead into the storm drains and are meant to handle excess rains. With San Diego’s dry weather, area drains often pose a health problem for homeowners and business owners after the first rain or during “El Niño” like storms. Area drains can become clogged during dry weather with leaves, debris, dirt, and rocks, and because they are not in constant use, it is hard to determine the state of the drain lines. While preventative maintenance can be performed annually through hydro jetting, it can be expensive. California Law prohibits any water to enter the line without proper containment, which is time-consuming and costly for homeowners. Homeowners can have a camera inspection of the area drain prior to the rainy season, which can tell them if the line is full of debris or other items. This will help homeowners develop a plan for the rain. If area drains do become clogged during the rain, homeowners may experience flooding that could lead into the home depending on the level of the yard. Lumbers can snake the backed-up line or hydro-jet without having to set up the costly barriers, as during the rain, adding extra water is not prohibited by California Law. 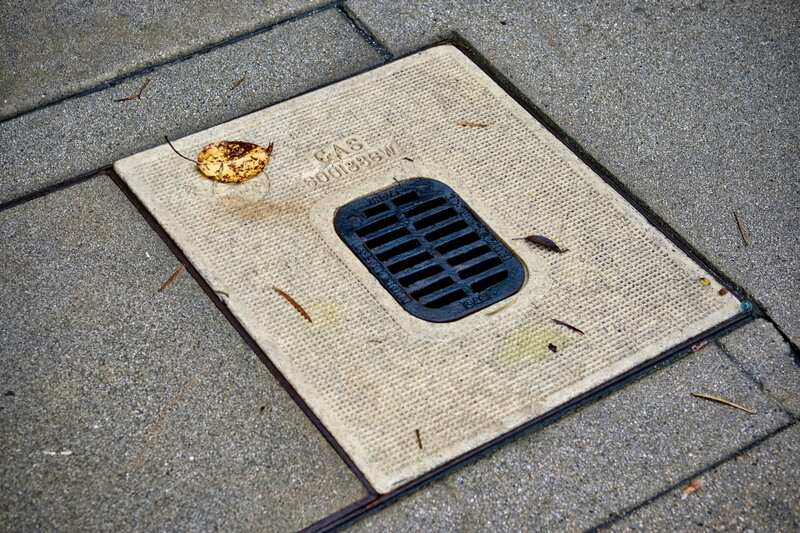 Homeowners should ensure that a grate style cover is placed offer the area drain, and if it is in the concrete, sweep around it and keep the general area clean throughout the year. If the area drain is in the yard, a cover will help, but dirt, grass, and leaves will likely enter the drain system. The biggest causes of main sewer lines becoming clogged are the abuse of the line by tree roots. The main sewer line is the line that all other drains connect to. It is a larger drain and can run under the house and into the city sewer system. Older homes, homes with large trees, and multi-family use properties encounter the most frequent main sewer problems. Older homes will likely have older plumbing systems unless they have been upgraded, which can be a costly project. 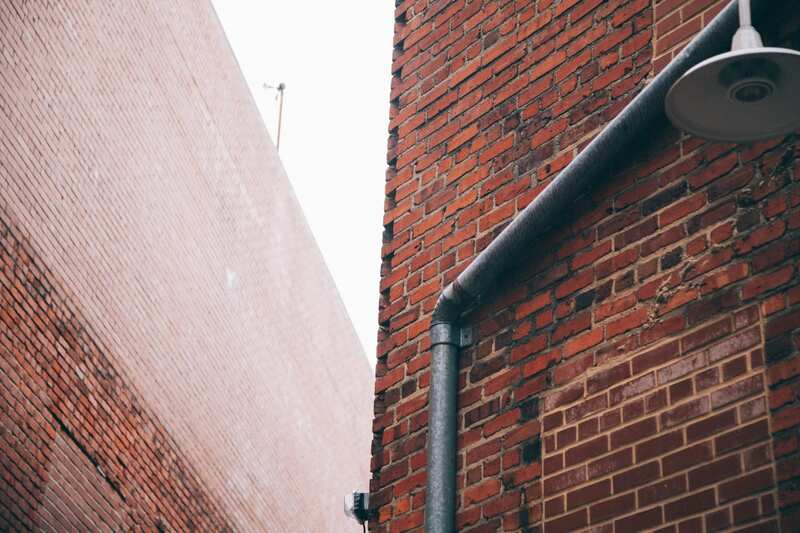 Older plumbing systems deteriorate over time, but also items that have gone into the drain and buildup on the inside slowly narrowing the diameter of the drain pipe. This can cause clogs, even with normal use. Hydrojetting and simple snaking can usually solve the problem quickly and affordably. Roots are a big problem for many homeowners. Roots intrude the line, searching for the rich nutrients in the sewer lines; after all, waste is a great source for plants. Roots detect moisture and over time can work their way into the line through small cracks, creating big plumbing problems. Hydrojetting can remove roots in many cases and epoxy relining is a great way to ensure they do not return. 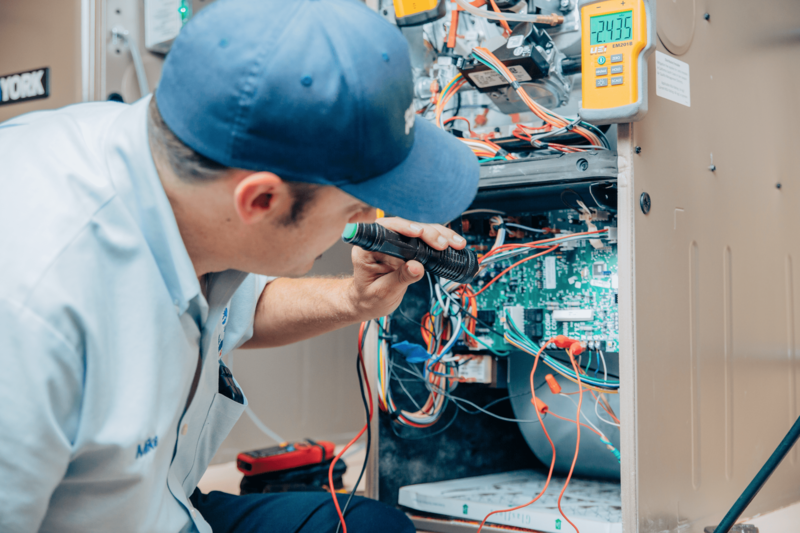 Multi-family properties experience backups for a number of reasons; the pipes may be older, trees may grow into the line, but mostly, there are simply more people using more facilities, and often putting items such as hygiene products and wipes into the line. The best prevention for exterior mainline sewer drains lines is to not abuse inside drain lines, perform an annual cleaning on the main line, and if the home has large trees nearby, consider performing a camera inspection to view the condition of the line. If you are experiencing frequent backups, or need to schedule your annual preventative maintenance, contact the drain experts at Bill Howe Plumbing. Since 1980, Bill Howe has been solving clogged drains and providing plumbing services for San Diego. Call 1-800 BILL HOWE (245-5469) for services today.